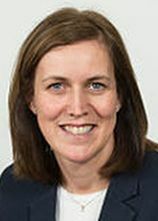 Emma McIntosh is Professor of Health Economics, Deputy Director of the Health Economics and Health Technology Assessment (HEHTA) Team and Director of the NIHR Global Health Group on Arthritis. Emma joined HEHTA in May 2011 to lead HEHTA’s theme on the ‘Economics of Population Health’. Emma has previously held posts at the Universities of Oxford, Aberdeen and Kent. Emma’s methodological interests span a wide range of health economics areas including economic evaluation and discrete choice experiments applied to both clinical and population health contexts. Emma has published in numerous peer-reviewed journals across a large range of methods and disease areas and co-authored the Oxford University Press handbook entitled ‘Applied Methods of Cost Benefit Analysis in Health Care’ in the Handbooks in Health Economics series. Emma has also recently completed co-editing the 5th book in the series entitled ‘Economic Evaluation for Public Health Practice and Research’. By the early 1960s, economics was beginning to pay attention to health issues. Understanding why market failure in health care occurs and a wide spread acknowledgement of the need for government intervention in the provision of health care paved the way for the discipline of health economics. The notions of scarcity, choice and opportunity cost provided the backbone for health economics as an academic and applied discipline both then and now. Drawing on her portfolio of research this lecture recounts some of the key methodological developments in the field of health economics as well as highlighting examples of applied research as seen through the lens of Emma’s 25-year career. By outlining research of varying methodologies, within different disease areas and in clinical, population and one-health settings Emma showcases the ever-evolving health economists toolkit in a constantly expanding evaluative space.